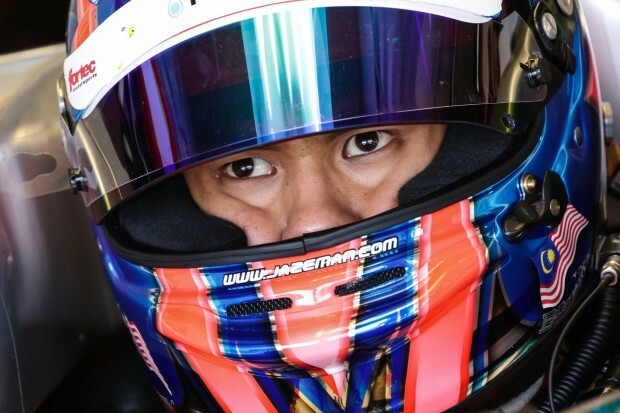 Jazeman returns to Monaco this weekend for round two of the World Series by Renault headline championship, the Formula Renault 3.5 Series, aiming to maintain his successful track record of racing on street circuits, and especially at Monaco, where the 22-year-old Malaysian has stood on the podium for the last two seasons of racing in the Formula Renault 3.5 Series. The second of nine rounds, the PETRONAS Talent Programme driver looks set to continue his strong performance following a successful start to the championship in April at Motorland Aragon, Spain, finishing on the podium of the opening race in second place. He currently sits third in the Drivers Championship. Jazeman’s team, Fortec Motorsports, leads the Team standings. Formula Renault 3.5 Series is privileged to be a supporting race of the iconic FORMULA ONE GRAND PRIX DE MONACO 2015. Jazeman and his rivals will race in front of the most influential personalities in F1 as well as the Monaco glitterati scene, with the race weekend attracting large crowds of the world’s richest and glamorous fans at the most famous motor racing event in the world. Practice for the race will be held on Friday 22 May from 08:00-08:45, with qualifying on Saturday 23 May from 09:00-09:55. The race takes place prior to the Formula One on Sunday 24 May from 11:10-11:55 (all times local). Highlights will be shown on Eurosport International on Sunday from 22:15-22:45.